Uh oh. Colin, you can drop back for a second and let brother Roland put the blitz on Billy [Bob] O’Reilly. Sacked him!! When Roland goes, “So, Bill, DAMN your book,” you KNOW the ‘turn up’ turned the corner! 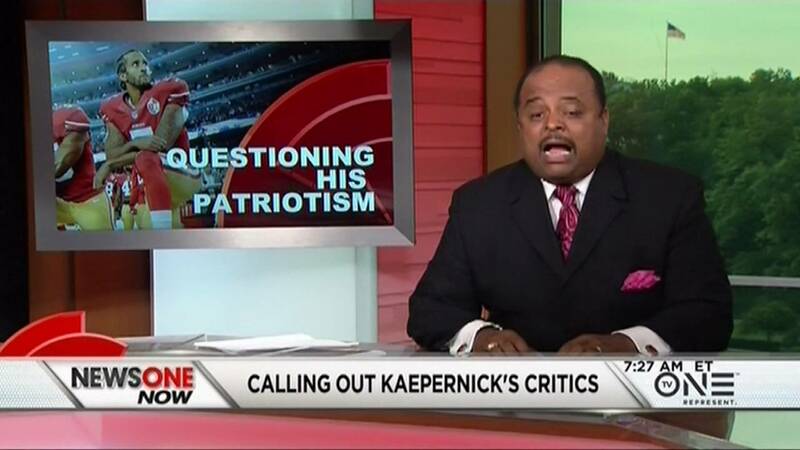 Roland Martin gave Bill O’Reilly a history lesson on patriotism and African Americans. O’Reilly wants Colin Kaepernick to read his book about patriotism, but Martin, host of NewsOne Now says O’Reilly has it all wrong and offered a series of tiles that O’Reilly should read instead.